Join us for the Alternative Gift Market, before and after service on December 2 and 9. This is a wonderful way to support local and global non-profits and make your giving go further as you do your holiday shopping. We’ll have goods from AfricAid, Church World Service, Earth Links, Heifer International, Incredible Edibles, SERRV, and The Gathering Place. Please see David Englestad. We are happy to announce a new Advent offering this year. We will have the sanctuary open from 6:30pm-7pm on December 4 and 11 for quiet reflection and contemplation. Some resources will be available, music will be playing, candles can be lit. Come enjoy a time of quiet in a season that can be filled with so much noise. Then at from 7:00-8:00 pm we’ll have a conversation in the Conference Room about Advent. 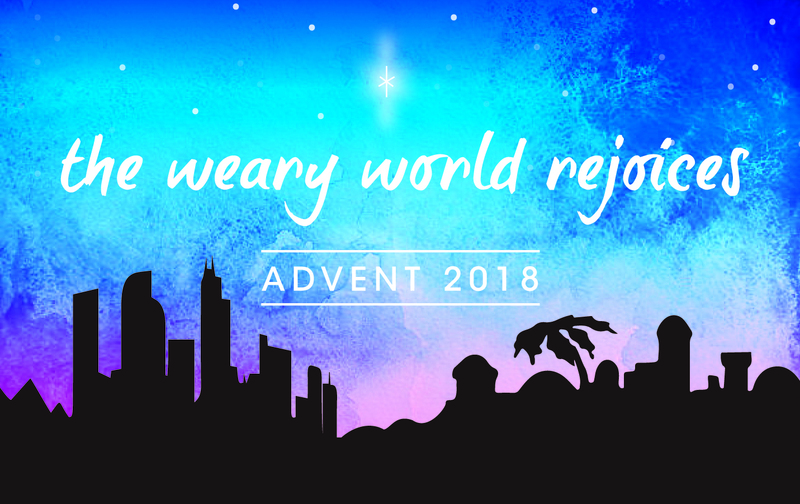 What are the themes of Advent and how do we embody them in practice? What is the Incarnation and why is it important to 21st Century Christians? Each part is stand alone, so come for any or all. Questions? See Curt or Mollie. You are invited to the Ladies Holiday Luncheon ad White Elephant gift exchange on December 8. Doors open at 11:00 am with lunch and hilarity to follow. Please bring a luncheon dish or dessert to share! Questions? Call or text Ruth Rueter at 303-956-0415. This event provides toys for over 4000 kids in JeffCo. We need 12 volunteers to help distribute the toys to families from 12:15 to 4:30 pm at the Faith Mountain Church (12344 W Alameda). Adults and youth 10 & over invited. Please sign up at the Welcome Center. The Mission, Outreach, and Evangelism Board will be holding a toy collection drive for the Action Center Santa Workshop. This year, we will 100% match whatever toys the congregation donates up to a $600 limit. Toys must be new & unwrapped. See a list of toys needed at the Welcome Center and the collection box in the Narthex. Please join us and invite your friends and family members to enjoy this wonderful musical. Light is essential for life here on Earth. For centuries, it has been used as a metaphorical theme in art and literature and is mentioned more than 230 times in the Bible. The Promise of Light is a musical celebration of God’s gift of eternal light to mankind. A thrill of hope, the weary world rejoices! In the midst of the season of hustle and bustle and as we move toward the longest night of the year, you are invited to a Blue Christmas Service. This simple service creates a sacred space for those who need it in the midst of dark times, grief, uncertainty, loneliness this season. This reflective, accepting service will remind us of God’s presence and hope in the midst of difficulty. Join us as we celebrate the birth of Christ with a traditional evening candlelight service and carols. We’ll start with a medley of Christmas songs at 7:00 pm, move into the service proper at 7:30 pm, and conclude with a candlelit Silent Night. Following the service, join us in the Fellowship Hall for hot cider and good conversation. Plan to arrive early, as this service is always packed!